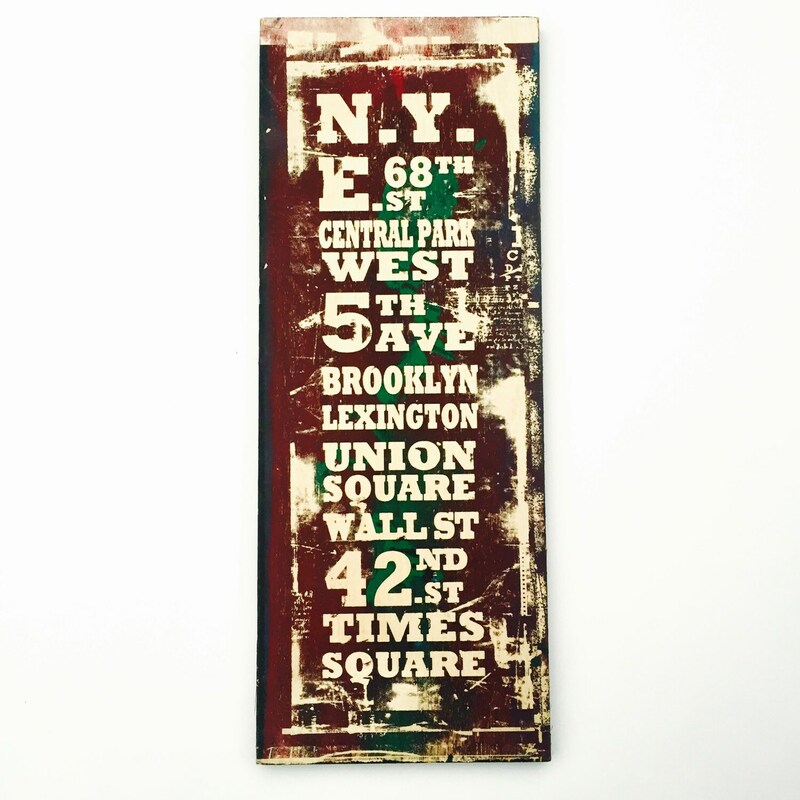 A bold yet simple sign to celebrate the city, featuring some of our favorite areas. Silkscreened and handpainted on 6 by 15 wood. Comes with a wall mount.